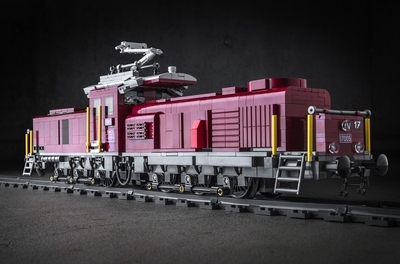 This is a narrow gage electric locomotive that is controlled and powered by LEGO® Power Functions: infrared remote, receiver, and two train motor modules. The engineer’s cabin has plenty of room for mini-figures and two functional doors. This model has three articulation points that make for smooth traveling round tight turns. My inspiration for this model has been continually stoked by the Glacier Express and the Bernina Express of the electric Albula Railway and its locomotives through the Swiss Alps. 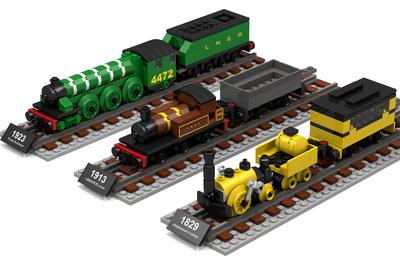 Especially the solid earthy colors of the locomotives from the 1920’s to the 1970’s. 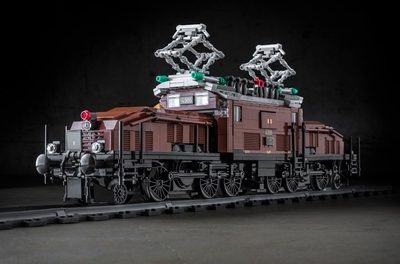 This listed UNESCO world heritage site railway with its vistas and scenic tight turns and unusually steep climes seems well suited for the LEGO® train system. 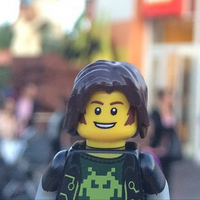 This particular model has another point of inspiration for me personally. I enjoy the good challenge of building with a limited color pallet. Some of the most significant struggles are from trying to get particular shapes or forms from combining elements to replace elements not available or cast in that color. Perhaps for future updates this particular locomotive can also be a dark blue or a dark green color instead of the dark orange. 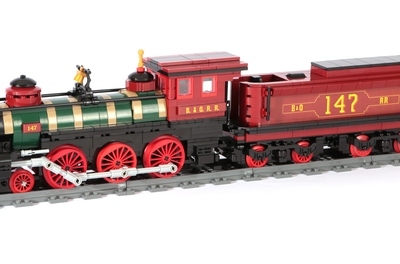 In addition to being an interesting display model, this locomotive is even more fun to drive and see in motion. I hope you will agree. Thank you for your support!